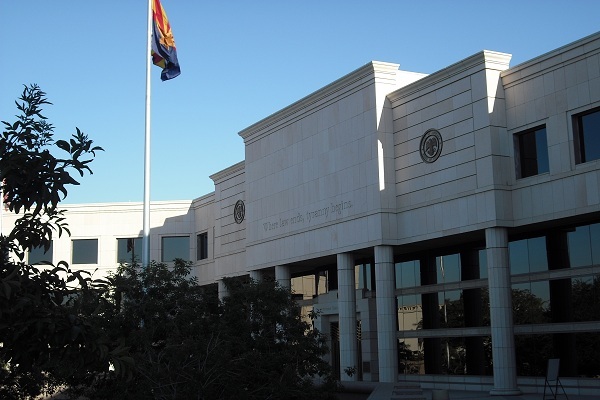 The public is asked for comments on 12 applicants for an opening on the Arizona Supreme Court created by the retirement of Justice Rebecca White Berch. The appointment of a Supreme Court Justice is a highly transparent process and public input is an important part of ensuring that the Commission on Appellate Court Appointments can fairly and effectively evaluate each candidate. Applications are posted online at http://www.azcourts.gov/jnc. The Commission on Appellate Court Appointments will review the applications and hear comments at a public meeting on October 19, 2015. The meeting will be held in Room 101 of the Arizona State Courts Building, 1501 West Washington. Citizens may address the Commission at that time or send written comments to 1501 West Washington, Suite 221, Phoenix, AZ 85007 or to jnc@courts.az.gov. Comments must be received by October 16th to be considered. Anonymous comments cannot be considered. At the October 19th meeting, the Commission will decide which applicants will be interviewed for the opening. The selected applicants will be interviewed on November 20, 2015. After the interviews, the Commission will recommend at least three nominees for the opening to Governor Doug Ducey, who will appoint the new justice.